As part of this month’s Beneath the Surface focus on the internet video economy in Zimbabwe we looked at news media companies that, in addition to their text news, are heavily doing video. Heavily in this sense means posting at least 2 or so videos a week for the past 3 months. We didn’t include aggregator type publishers like Bulawayo24 & Nehanda TV whom we covered in the video aggregators article last week. Our checks first of all show that apart from 263chat, no other internet-only publisher has taken video seriously enough to post something every week. 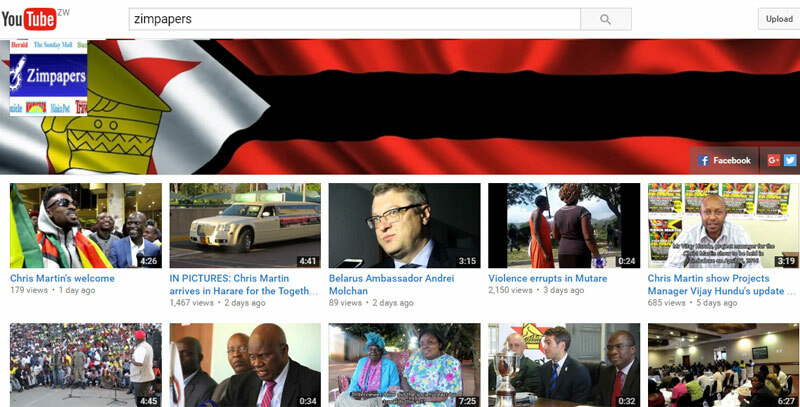 Of the traditional media companies, only Zimpapers and Alpha media have taken video seriously. But even these, as you will see later in the article, are barely scratching the surface given the opportunity platforms like Facebook provide. Their most viewed video in the past 3 months had 72,400 and it was the video of Tafadzwa Mushunje who was falsely accused of injecting a child with the HIV virus. Strangely, Zimpapers doesn’t post much content to its Facebook pages. Pages for The Herald, Chronicle and Manica Post have no videos at all. Only The Sunday Mail has a few – just 7 of them all time. Zimpapers don’t seem to be monetising the videos directly in any way. AMH also don’t seem to be pushing any direct advertising for the videos and we have no information on whether they have YouTube advertising activated. Like Zimpapers AMH do not post any videos to their Facebook page. We’re obviously curious about this and will make an attempt to get their reasons. Of the 105 videos about 37 are not their original content, and this includes Barclays Premier League highlights and skits from P.O. Box and Bustop TV comedy outfits. The most viewed video had 31,200 views and it was the “Meet Maud Chifamba Zimbabwe’s Whiz-Kid” video. Like the other two publishers, 263chat doesn’t seem to have any direct monetisation model for the videos. Other companies posting some video content but not as frequently as the 3 above include the ones below. Even though for example Zimbojam has some 825k total views, they haven’t been posting frequently lately. Her Zimbabwe (171k all time views). Publishers we expected would have some video but who don’t post nearly enough content include Daily News, Soccer24, Techzim (yeah, we know), Zimbabwe Mail, H-Metro, Zimbuzz and Techunzipped. We have spoken to some who say video is in the pipeline. ZBC News especially is inconspicuous by its absence from internet video platforms completely, especially as they already create hours of news video content daily. While Zimpapers and AMH stand out in Zimbabwe, if you look at how media companies in South Africa and East Africa use video as a key to news delivery (posting up to 15 videos a day each) you will see how Zimbabwean players are essentially not even scratching the surface. Kenya’s NTV for example posts an average 17 videos a day to YouTube.